ANDRITZ has one of the world´s most comprehensive product offerings in separation technologies and services and is thus able to provide a solution for basically all types of mechanical or thermal separation challenges. It all starts with the specific process requirements and ends with a system solution that gives the best results for customers. The range of high-speed, single-cell drum filters used especially in the plastics industry has been expanded to handle larger throughputs, while at the same time, the specific filtration costs are reduced. A drum filter is being developed for applications in the polymer industry that allows easy maintenance, even at higher throughputs. For centrifuges, a new drive system has proved its long-term reliability. As a result, this concept is now utilized in many centrifuge sizes. For the environmental markets (municipal and industrial wastewater, desalination, fertilizer, biogas, etc. ), ANDRITZ offers leading technologies for use in many applications: decanter centrifuges, screw presses, belt filter presses, and chamber/membrane filter presses. Each project may have its own set of goals, including low energy consumption, highest cake dryness, minimized polymer usage, reduced footprint, or optimum cost of operation. ANDRITZ focuses on these customer targets and provides the most suitable liquid/solid separation solution to meet the given requirements. A pilot-scale belt dryer has been developed and is already operational. The design of the belt dryer allows testing of a wide range of materials to be dried under different drying conditions. Non-thermal VOC and odor reduction processes have been analyzed at an existing BDS dryer plant. Different combinations of bio-filter, bio-trickling filter, activated carbon, non-thermal plasma, and condenser were tested. For filter presses used in ore mining, the plate opening times are being shortened, thus leading to drastically reduced operating cycles with the benefit of a significantly higher specific throughput. New intermittent sizes are being developed in the hyperbaric disk filter (HBF) and vacuum disk filter product groups. A novel, dynamic cross-flow filter is being developed and has already been applied successfully in several industrial processes. International Filtration News interviewed Senior Vice President Olaf Müller at ANDRITZ, for his insights and comments. Ed Gregor: What has been the driving force behind ANDRITZ offering so many filters in the process industries: e.g., decanter centrifuges, filter presses, belt, disc and drum filters, etc.? Olaf Müller: We at ANDRITZ have the headline “Ask your separation specialist!” By saying so, we want to clearly communicate that we have an answer for each and every separation and drying challenge within our core markets – Minerals and Mining, Environment, Chemicals and Food and Beverages. Our unique product portfolio allows us to respond to each challenge with the ideal product and the ideal solution around that product. We do not limit ourselves by just promoting one form of separation or drying equipment – we offer the best solution for each individual customer based on our broad portfolio. Ed Gregor: Is the current strategy to concentrate on the process industries with typically large equipment? Olaf Müller: We focus on our customer’s needs, the size of the equipment in that respect is irrelevant. We play a leading role in all four industries we serve. While the equipment in minerals and mining or chemicals is usually of a larger size, we also serve the environment and the food and beverage markets with all sizes of equipment from smallest craft brewing separators to largest sludge dewatering decanters. We take all challenges as they come, from large to small, as long as we can play to our separation and drying strengths and offer the best and most competitive solution for our customers. Ed Gregor: Do you see the company getting into entirely new filtration areas such as liquid filter cartridges or air filtration to extend its reach with current or new customers? 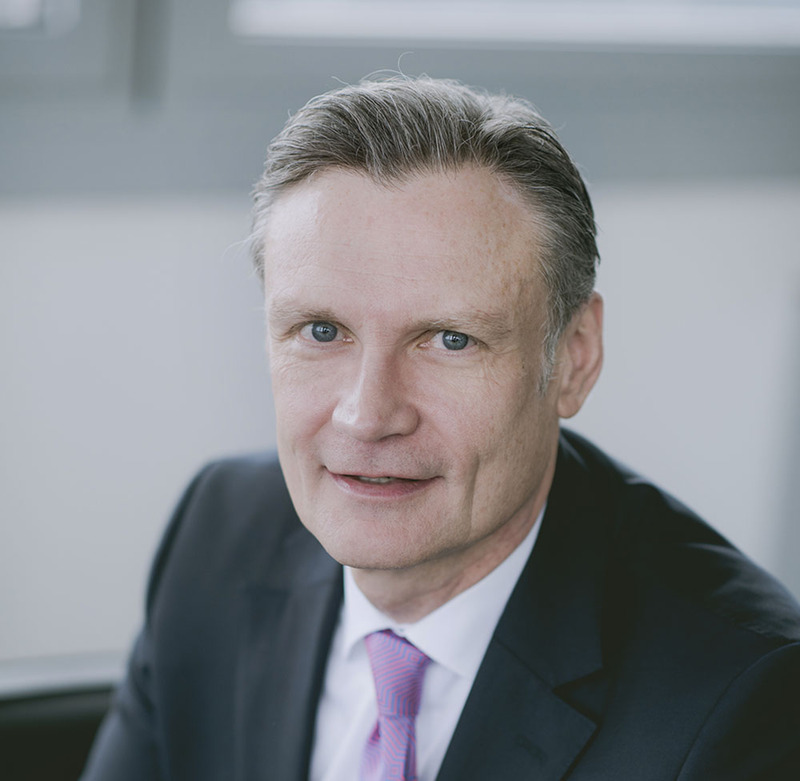 Olaf Müller: ANDRITZ is, by tradition, a highly innovation-driven company. Consequently, we measure the newness of our product portfolio and put a lot of effort into innovation. In that respect, our dynamic crossflow filtration units for yeast, wine, and pharma applications or the new low-energy consumption Ulicanter line are only two recent examples. So, we always keep or eyes and ears open for new separation needs and new technologies to better serve existing markets. Since we are always striving to better serve our customers and want to be a one-stop-shop for advanced drying and separation equipment, the market will tell us when we have to look into new and additional technologies. We are always ready to learn and to act fast. Ed Gregor: Many current ANDRITZ product offerings were obtained through acquisitions. Will this process continue or are there activities at local facilities to create entirely new, homegrown technologies to replace incumbent offerings? Olaf Müller: As in the past, we will continue into the future with a balance between R&D and M&A. ANDRITZ is investing a lot of money into its own new developments, however we never say no to good opportunities based on M&A. We have grown organically over the years above market growth and we always added bolt-on acquisitions where and when it made sense. We are observing the market constantly, but do not acquire for the sake of the acquisition. We have a clear roadmap for penetration (more with existing customers) and coverage (with our existing portfolio into new markets and applications). Where an acquisition will help to accelerate our plans, we will certainly look into it. Ed Gregor: If there were an end game for ANDRITZ as a company, would it be noticeably different in your mind to today’s market and product offerings? Olaf Müller: We believe in the four markets we are serving, and our recent success proves that we are serving our customers with the right products and processes. If we had to change anything in the existing set-up, it would be more of an evolutionary than a revolutionary change. We might focus more on process know-how in the future and will add more specific industry know-how to our existing product know-how. Business development with specific industry focus will play a bigger role in that respect in the future. Following the customers’ needs, we would like to improve on our key account approach. Last, but not least, we are already very focused on service. Ed Gregor: I assume replacing parts and servicing older equipment plays an important role in your business. Please comment. Olaf Müller: We believe that we can always get better in serving our existing customers and the installed base even faster. One way to achieve this is our new digital spare parts catalog, which shows all installed bases a customer is operating, with all spare and wear parts. Customer-specific order history in combination with spare part and maintenance kits will simplify processes and lead to much faster processing and availability 24/7. The spare parts catalog has been received very well internally – and we will start customer tests this quarter. Olaf Muller: You are welcome.